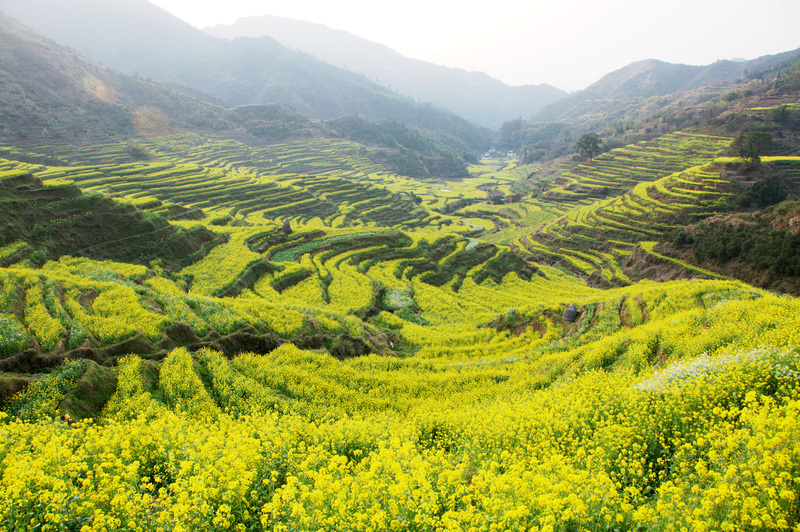 Famous for having the most beautiful countryside in China, Huangling village in China’s Jiangxi Province launched helicopter tours from March 11, 2016 offering visitors the opportunity of a bird’s eye view of the region’s beautiful spring rapeseed flower blossom. Tours take off from Jiangwan Town airfield, about 28 kilometers from Huangling, fly by the village and over the magnificent flower terraces and Hui-style houses with their black roof tiles and white walls. Surrounded by green mountains and steep cliffs, Huangling village was settled hundreds of years ago and is recognized as one of the most beautiful destinations in China. 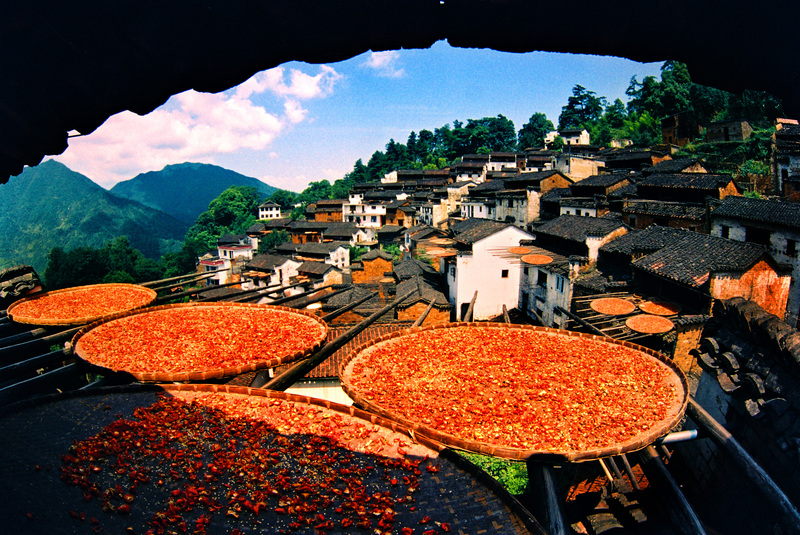 With its towering trees, stone paths, winding creeks and rich folk culture, the ancient village also retains the unique folk tradition of shaiqiu, or “crop drying in mid-air” as villagers sun-dry chili pepper and corn harvests around the houses throughout the year. This remarkable spectacle is a symbol of the Huangling culture. 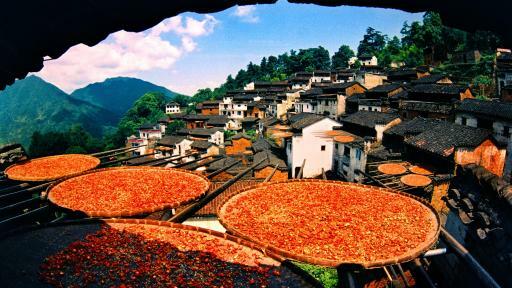 In addition to the helicopter tours, Wuyuan Rural Culture Development Co., Ltd, the company that oversees the village’s operations, has also introduced virtual reality (VR) viewing, which gives visitors a 3D panoramic of the flower fields, mid-air crop drying, and historic houses via real-time drone feed. 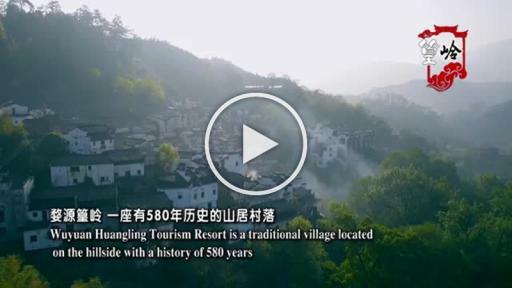 Huangling village is also working with Nanchang Railway Administration to run special Wuyuan Flower Tour Trains with six tour guides on board to introduce the village’s history and culture. Hot air balloon tours over Huangling are also expected to launch in the near future. 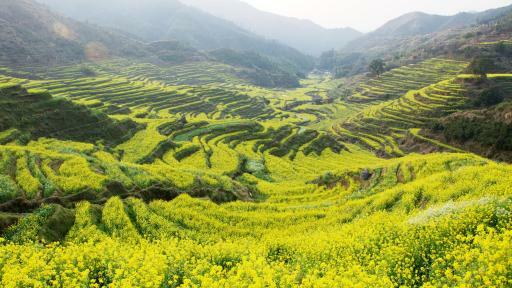 Located in Wuyuan County, Jiangxi Province, China, Huangling attracts visitors from all over the world. The quaint and elegant village has preserved and maintained its ancient Hui-style architecture and offers an authentic Chinese countryside travel experience. Praised as the most beautiful countryside in China, the unique view of shaiqiu can only be found in Huangling, where baskets of colorful harvest bask in the sunshine.